the engagement with our loyal and valued customers, Fitmiss promotes lifestyle goal achievement through the aspect of community and personal interaction, signified by our #FitmissTries campaign. #FitmissTries strives to break the stigmas associated with exercising. ectives that they aspire to conquer or achieve. We at Fitmiss believe that no one person should feel that they are alone in their journey, and that strength sometimes just needs some extra encouragement. As a result, we have made it our mission to provide the necessary tools for a solid foundation for building a better you. 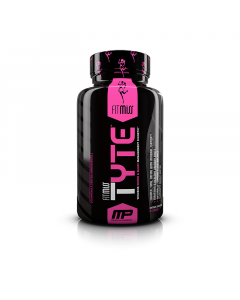 To introduce the safest, most scientifically advanced nutritional supplements to benefit the needs of women. The purpose of the FitMiss® brand and its products must be to encourage and empower women to reach their personal health goals by enhancing athletic performance, building strength and promoting overall wellness—all without the use of banned substances.